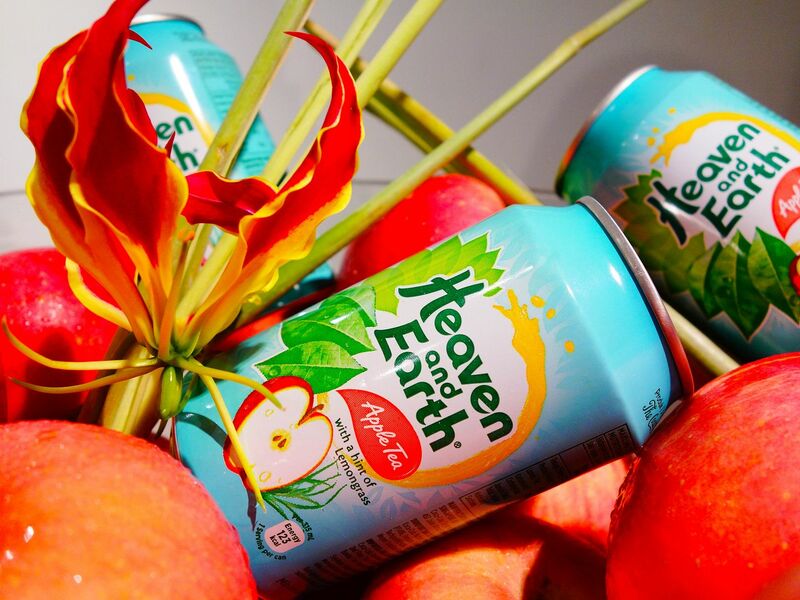 Coca-Cola Singapore has recently unveiled and added two new and unique tea flavours to its Heaven and Earth range. Mango Tea with a hint of Chamomile and Apple Tea with a hint of Lemongrass are indeed uncommon flavour pairings, especially for beverages. Both fusion tea flavours were dubbed by the beverage company as ‘an unusual match made in heaven’. To find out more, I went to their product launch held at the esteemed Art Trove, a private museum in Bras Basah which specialises in European art. The opening speaker was Mr. Lim Kean Yew, the Senior Manager of Integrated Marketing Communications and Activations, Coca-Cola Singapore and Malaysia. He spoke about Heaven and Earth’s 15 years of experience and commitment to assuring the quality of its beverages and constant innovation. He was also excited to see how tea drinkers would embrace the two new flavours. Also in attendance as speakers were two of Singapore’s favourite YouTube celebrities, Ryan and Silvia from Night Owl Cinematics (NOC). From mere observation, one would speculate that these two individuals would never work out as a couple. However, they really do make such an adorable and compatible couple! What Heaven and Earth was trying to show was that two elements that seem worlds apart could actually be a seamless match. 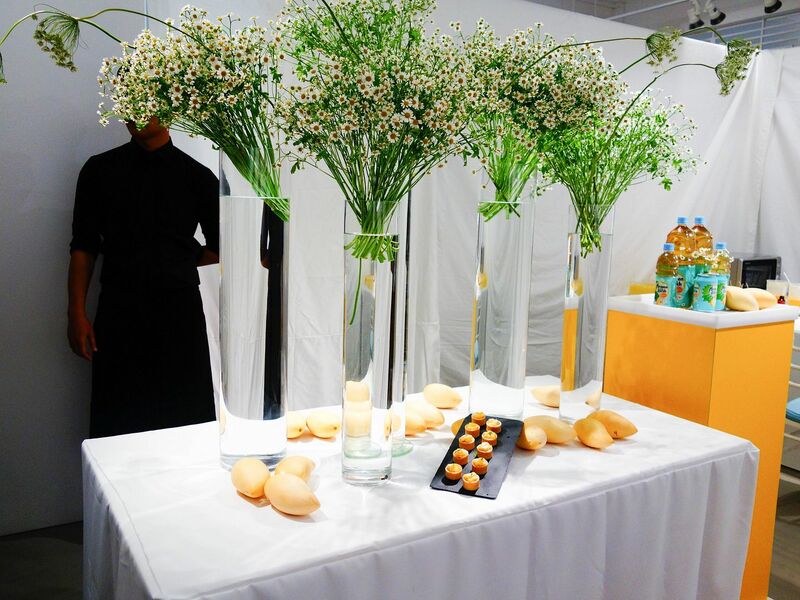 After the presentation, guests were brought to different rooms for a “multi-sensorial experience” with relation to Heaven and Earth’s latest flavours and boy, were we in for a surprise. In one noticeably yellow room, it contained everything mango and chamomile. 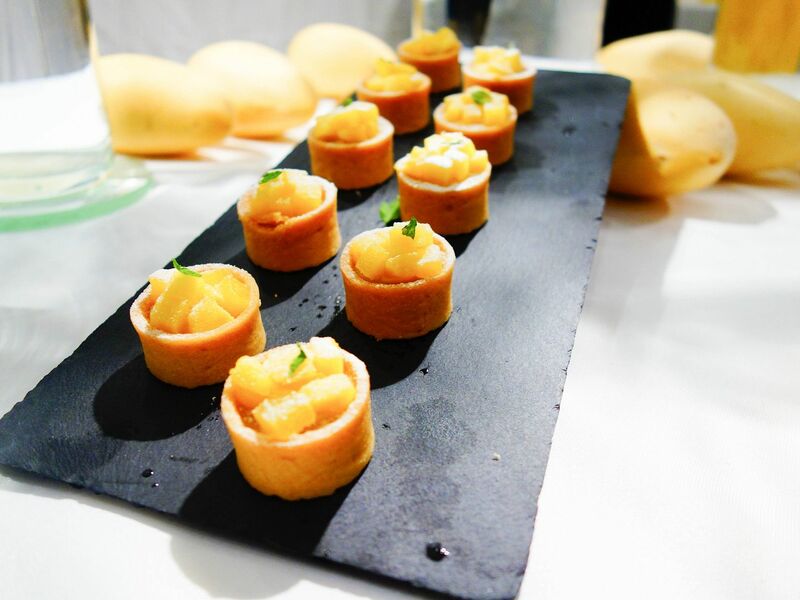 Guests were served delectable mango pastries, canapés and of course, Heaven and Earth Mango Tea with a hint of Chamomile. There was also a candle-making activity for guests to make and bring home their own mango-scented candles! 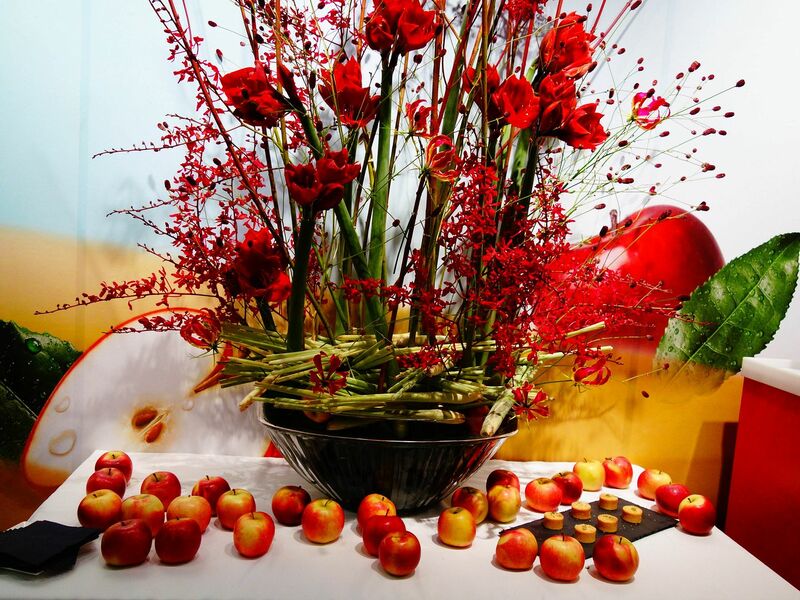 In the adjacent room, it was a striking red yet there was a sense of calm due to the scent of fragrant lemongrass. 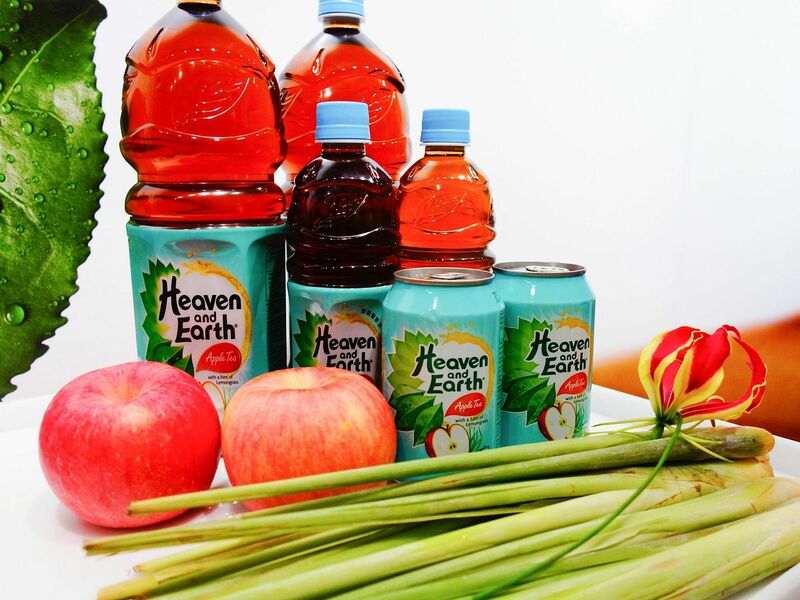 Similarly, guests were offered apple light bites together with Heaven and Earth Apple Tea with a hint of Lemongrass. 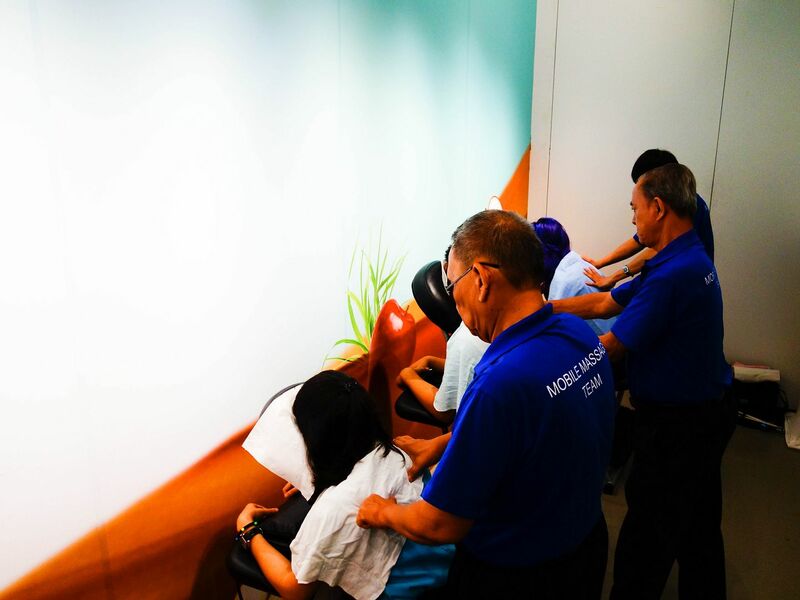 We were asked if the fragrance of lemongrass reminds us of anything and someone jokingly replied, “A spa!” And lo and behold, there were masseuses from the Singapore Association of the Visually Handicapped (SAVH)’s mobile massage team, providing comfort in the form of quick neck and shoulder massages. The launch was both fun and creative but I was more interested in the drink itself. 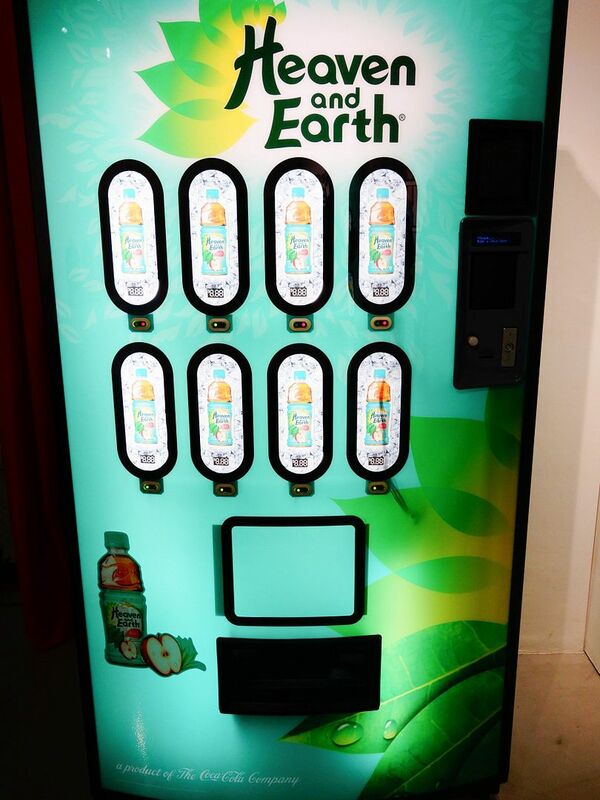 I hopped on over to this Heaven and Earth vending machine which dispenses “free” bottles of Heaven and Earth Tea! Wish I could have one of these at home. I enjoyed both teas thoroughly. When they said a hint of chamomile/lemongrass, it is indeed very subtle. It adds a certain sophistication and refinement to an otherwise typical tea. 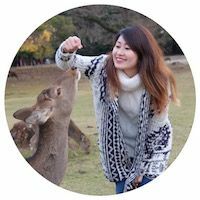 Using natural fruits and herbs, the taste of the teas were mellow and not heavily sweet like other tea brands. Surprisingly, my preference was the Mango Tea with a hint of Chamomile. Not only is it unique and refreshing but it was also full of flavour. At the end of the event, I was given a few bottles of both flavours which I gave my friends to try. I asked them which flavour they preferred but there wasn't a conclusion as my friends love them both. 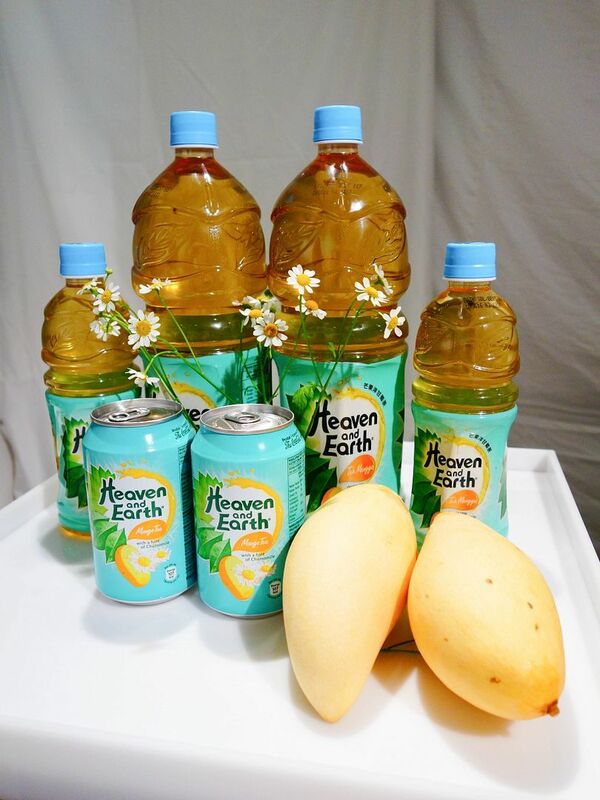 Both drinks are available in 315ml cans, 500ml bottles and 1.5l bottles. 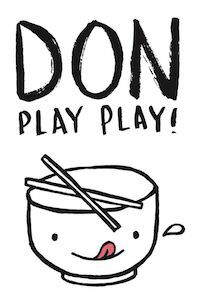 They can be found at all major supermarkets, convenience stores and coffee shops across the island.